The Barre measures 120" long with a 1 1/2" diameter hardwood pole. 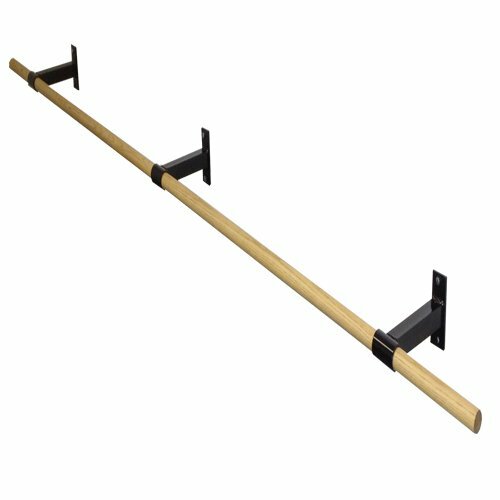 The Barre mounts to the wall with easy to position wall brackets. Simply mount each bracket securely to the wall studs and slide the barre into the brackets. All screws are provided. If you have any questions about this product by The Beam Store, contact us by completing and submitting the form below. If you are looking for a specif part number, please include it with your message.